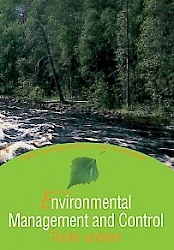 The book provides detailed information on environmental issues related to pulp and paper mills and their associated processes, and is intended to help increase understanding of the factors affecting environmental load, including liquid effluents, air emissions and solid wastes. It also covers the main regulatory controls and their associated drivers, with a particular focus on the European Union area, including the Integrated Pollution Prevention and Control (IPPC) Directive and the concept of Best Available Techniques (BAT), as well as the role of environmental management systems and other tools in general. We deliver the books all over the world.